May 12, 2017 – BWW: Jayce D’Arcy defeated Clark Connors. May 13, 2017 – ASW: Christopher Ryseck defeated Clark Connors. May 19, 2017 – BWW: Clark Connors and Nathan Kabe defeated Collin Cutler and Jayce D’Arcy. May 20, 2017 – BWW Show 1: Chucky Lee Ray, Clark Connors and Marty Sugar defeated Collin Cutler, Davey Deals and Michael McCaw. May 20, 2017 – BWW Show 2: Clark Connors and Graham Campbell defeated Davey Deals and Michael McCaw. May 20, 2017 – BWW Show 3: Aiden Adams, Collin Cutler and Nick Price defeated Clark Connors, Mike Shreddz and Nathan Kabe. May 20, 2017 – BWW Show 4: Davey Deals, Jayce D’Arcy, Michael McCaw, Nathan Legacy and Nolan James defeated Clark Connors, Haviko, Nathan Kabe, Oliver Jordan and Sean Gaston. May 21, 2017 – BWW: Clark Connors and Danni Deeds defeated Jayce D’Arcy and Nick Price. May 26, 2017 – ASW: Nick Price defeated Clark Connors. May 27, 2017 – ASW: Clark Connors defeated Azeem The Dream. June 23, 2017 – PCW 2: Clark Connors defeated Nick Dawson. July 21, 2017 – ASW: Azeem The Dream defeated Clark Connors. August 3, 2017 – DEFY6: Clark Connors and King Khash defeated Bat Boy and Derek Drexl. August 10, 2017 – ASW: Matt XStatic defeated Clark Connors in a best 2 out of 3 falls match to retain the cruiserweight title. August 24, 2017 – DOA: The Cunninghams (Jack Cunningham and Karl Cunningham) defeated Clark Connors and Julian Whyt. Nick Radford and Sid Sylum defeated Clark Connors and Kevin Cook. September 9, 2017 – ECCW vs. DEFY: Clark Connors [DEFY] defeated Dr. Luther [ECCW]. September 29, 2017 – DEFY8: Clark Connors and Rebel Kel defeated Cody Chhun and Karl Cunningham. September 30, 2017 – ASW: Pain defeated Clark Connors. October 13, 2017 – ASW: T-Shock defeated Clark Connors. October 20, 2017 – ICW: The Mennials (Adam Ryder and Jordie Taylor) defeated Cougar Meat (Clark Connors and Kyle Sebastian), Team USA (Azeem The Dream and Christopher Ryseck) & The Cunninghams (Jack Cunningham and Karl Cunningham) in a 4-way tag team match. October 21, 2017 – ICW: Cougar Meat (Clark Connors and Kyle Sebastian) defeated The Cunninghams (Jack Cunningham and Karl Cunningham). October 27, 2017 – Prestige 3: C4 (Clark Connors and Cody Chhun) defeated The Purple Wizards (Nick Radford and Rusty Diamond). October 28, 2017 – ASW: Clark Connors defeated Matt XStatic. November 19, 2017 – WCWC: The Magnificent Bastards (Eric Right and Richard SynCyr) defeated Clark Connors and Julian Whyt to retain the tag team titles. December 2, 2017 – WCWC: Ricky Gibson defeated Clark Connors in a lumberjack match. Darin Corbin, Ricky Gibson, The Pearl Brothers (Billy Pearl & Eddie Pearl) and Mr. Tubbs defeated CJ Edwards, Clark Connors, Cubby, Marcus Malone and Max Burnside in a tag team elimination match. Ricky Gibson defeated Clark Connors. Nathan Kabe defeated Clark Connors. Clark Connors defeated Ricky Gibson. December 15, 2017 – ASW: Clark Connors defeated Cody Smith. December 16, 2017 – WCWC TV (Taped): The Bonus Boyz (Clutch Kucera and Sugar Brown) defeated Clark Connors and Julian Whyt to retain the tag team titles. December 23, 2017 – WCWC TV (Taped): The Fit Club (Dillon Divine and Matt XStatic) defeated Clark Connors and Julian Whyt. January 7, 2018 – WCWC: Clark Connors defeated Eddie Pearl. February 2, 2018 – DEFY10: Artemis Spencer defeated Big Jack, Clark Connors, Cody Chhun, Kaine Jaiden, King Khash, Nick Radford, Rosas, Sonico and The Catch in a 10-way elimination match. February 10, 2018 – WCWC TV (Taped): Darin Corbin defeated Clark Connors. February 11, 2018 – WCWC: Clark Connors defeated Matt XStatic. February 17, 2018 – ASW: Christopher Ryseck and King Khash defeated Clark Connors and Cody Chhun. March 3, 2018 – WCWC TV (Taped): Ricky Gibson defeated Clark Connors. Team O’Shea (Alexander Hammerstone, CJ Edwards, Marcus Malone & Mikey O’Shea) defeated The Wrecking Crew (Clutch Kucera, Mike Camden, Sugar Brown & The Grappler) and Team Mayer (Clark Connors, Dicky Mayer & Young And Greene (Anthony Greene & Jakob Austin Young)) and Team Corbin (Darin Corbin, Ricky Gibson & The Fit Club (Dillon Divine & Matt XStatic)) in a tag team elimination match. March 11, 2018 – WCWC 13 Year Anniversary Show: Marcus Malone defeated Carl Randers, Clark Connors and Richard SynCyr in a 4-way match to win the vacant Oregon heavyweight title. Clark Connors was also in the rumble match won by Carl Randers. March 17, 2018 – WCWC TV (Taped): Darin Corbin defeated Clark Connors. March 30, 2018 – Prestige 4: C4 (Clark Connors & Cody Chhun) and Schaff defeated Caden Cassidy, CJ Edwards and Nick Radford. April 7, 2018 – WCWC TV (Taped): Eric Right defeated Clark Connors. April 14, 2018 – WCWC TV (Taped): Clark Connors and Dicky Mayer defeated The Bonus Boyz (Clutch Kucera and Sugar Brown). April 15, 2018 – DOA: Clark Connors defeated Damon James, Mike Santiago and Sonico in a 4-way match. April 21, 2018 – WCWC On Fox (Taped): The Fit Club (Dillon Divine and Matt XStatic) defeated Clark Connors and Dicky Mayer to retain the tag team titles. April 27, 2018 – ICW: Cougar Meat (Clark Connors, Collin Cutler and Kyle Sebastian) vs. The Millenials (Adam Ryder, Jordie Taylor and Nick Price) ended in a double disqualification. April 28, 2018 – WCWC TV (Taped): Clark Connors and Dicky Mayer defeated Eddie Pearl and Ricky Gibson. April 28, 2018 – ICW: Cougar Meat (Clark Connors, Collin Cutler and Kyle Sebastian) defeated The Millenials (Adam Ryder, Jordie Taylor and Nick Price) in a no disqualification tag team match. May 12, 2018 – WCWC On Fox (Taped): Clark Connors defeated Carl Randers. May 13, 2018 – WCWC: Clark Connors defeated Billy Pearl. May 20, 2018 – DOA: 4 Minutes Of Heat (Eddie Pearl and Eddie Van Glam) defeated Clark Connors and Damon James to retain the tag team titles. May 26, 2018 – DEFY: Carl Randers and Clark Connors defeated Kaine Jaiden and Nick Radford. June 8, 2018 – Prestige 6: C4 (Clark Connors and Cody Chhun) defeated The EH Team (Chase James and Lance Pierson). June 9, 2018 – DEFY: The American Guns (Ethan HD and Mike Santiago) defeated Carl Randers and Clark Connors in the semi-finals. June 9, 2018 – WCWC On Fox (Taped): The Fit Club (Dillon Divine and Matt XStatic) defeated Alexander Hammerstone and Clark Connors to retain the tag team titles. June 10, 2018 – WCWC: Johnny Proof defeated Clark Connors. June 30, 2018 – WCWC On Fox (Taped): The Fit Club (Dillon Divine and Matt XStatic) defeated Alexander Hammerstone and Clark Connors to retain the tag team titles. September 30, 2019 – NJPW: Clark Connors defeated Alex Coughlin in a dark match. November 11, 2018 – NJPW Lion’s Break Project 1: Jushin Thunder Liger defeated Clark Connors. December 9, 2018 – CWFH: Alex Coughlin and Clark Connors defeated Adrian Quest and Tyler Bateman. January 24, 2019 – ROH Road To G1 Supercard: Jeff Cobb defeated Clark Connors in a proving ground match. January 26, 2019 – ROH Road To G1 Supercard: Shinobi Shadow Squad (Cheeseburger, Eli Isom and Ryan Nova) defeated Alex Coughlin, Clark Connors and Karl Fredericks. January 30, 2019 – NJPW: Alex Coughlin vs. Clark Connors ended in a time limit draw. 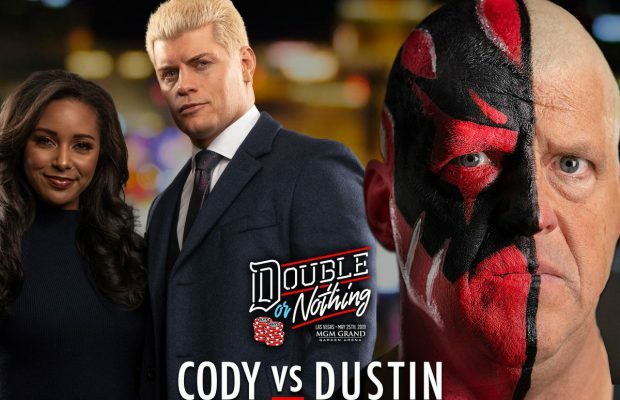 February 1, 2019 – NJPW: Clark Connors vs. Karl Fredericks ended in a time limit draw.